Want to Know What a Buyout Is? Buyouts are a common method for reducing the number and cost of employees. In buyouts, the employer offers some or all employees the opportunity to receive a large severance package in return for leaving their employment. What is Included in an Employee Buyout? Buyouts range from four weeks pay plus another paid week for every year worked to the $150,000 that some auto companies have paid their union workers to leave. They can also include benefits such as extended health care insurance and educational and job search assistance. Buyout offers are usually made to non-critical staff. Senior-ranking employees who are close to retirement or cost the company more money than a new-hire would are also common targets. Offering all employees of a company the buyout is more common during rough economic times and significant downsizing. Your job prospects and personal marketability. The older you are, the harder it is to get hired. Will the buyout cover your expenses until you find new employment? How close you are to retirement. Will early retirement affect your social security benefits? Is the offer a lump-sum payment or payable over time? If in smaller payments, how stable is the company and can you rely on them to fulfill the promise to pay? Your desire for a career change. Some employees use buyouts to pay for a new college degree or to open their own business. What happens to any personal leave you have accrued? What about any bonuses and other perks you receive? Each situation is different and everyone has unique circumstances that they must consider. It may be best to review a buyout offer with a financial professional as well. In return for the severance package, employees are required to sign a release from liability. This is an agreement between employee and employer that the company will not be sued or held responsible by the employee. The bottom line is that the employee agrees not to sue the company in return for the buyout funds. Buyouts are not easy decisions for a company or its employees. They are often offered when there is a critical need to reduce operating expenses and in hopes of avoiding or reducing layoffs. 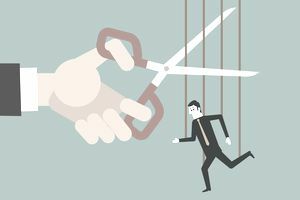 Unfortunately, when too few employees accept the buyout offer, employers are often forced to lay off employees anyway. Sometimes, the employees laid off are people who chose not to accept buyouts. This contingency should be clear when the buyouts are offered so employees know that a layoff is possible. That, too, can factor into buyout decisions.